The folks at iFixIt are back again, this time tearing down the Galaxy Note 7 from Samsung. 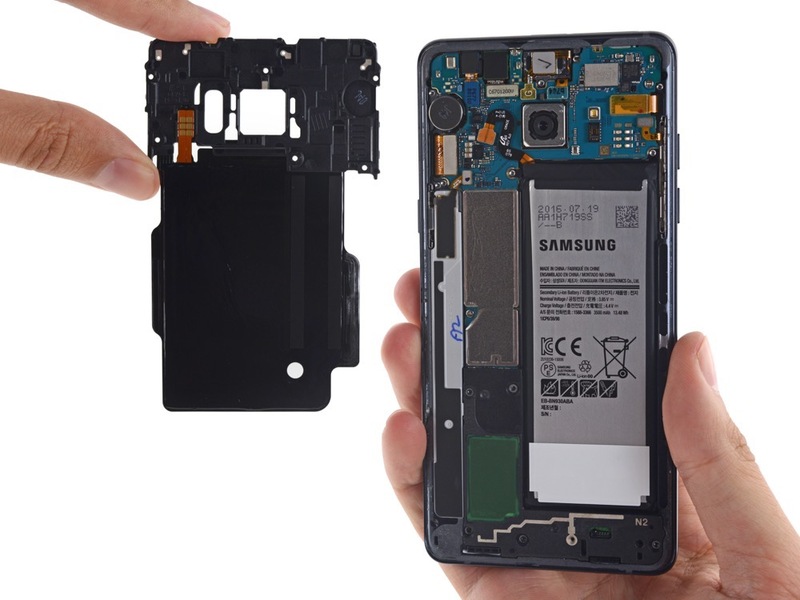 With these teardowns, we get to see the innards of the smartphone, but also learn how repairable they are. Basically, if something breaks on the device, will you be able to fix it yourself? According to iFixIt, on the Galaxy Note 7, it looks unlikely. 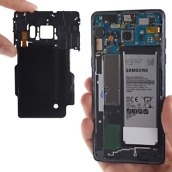 To get started, the back of the phone must be removed. Using a whole lot of heat, suction cups, and a repurposed guitar pick, the backside glass comes off not so easily. On the upside, once it’s removed, easily removable Phillips screws secure the wireless charging coil. Once taken out, access is provided to the battery, speaker, and other goodies. All in all, the Galaxy Note 7 is not easily repairable. However, it’s not impossible. iFixIt rates the Note 7 at a 4 for repairability. To compare, the Galaxy S7 received a 3 out of 10 and the Nexus 6P received a 2 out of 10. So, yeah, it’s a bit better than those. 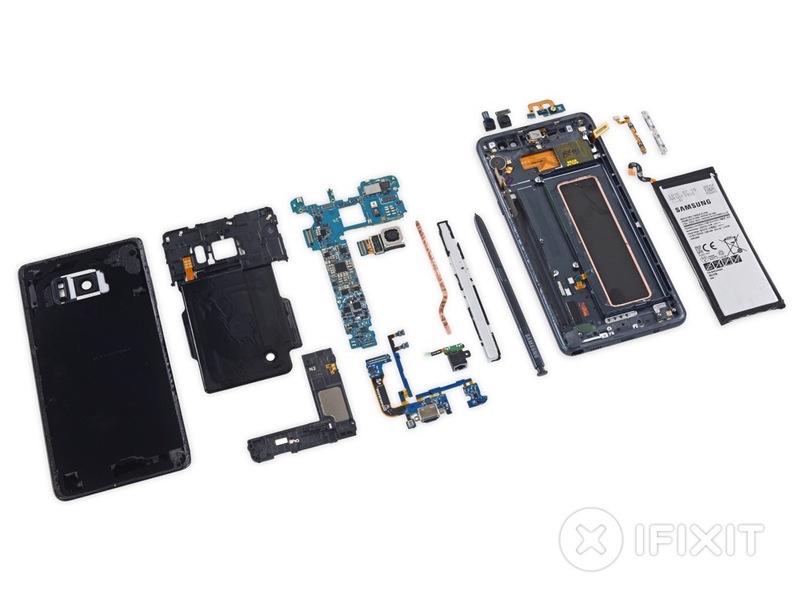 Check out this little gallery, then read the complete iFixIt teardown by following the via link below.